Install VR player from Oculus Library (we recommend Skybox). Connect your "Oculus Go" headset to a computer using USB cable. You must put the headset on your head to allow the computer to access files on "Oculus Go." There should be a "Oculus Go" internal storage in "Windows Explorer". You must create a "VRB" folder in which you put your downloaded videos. 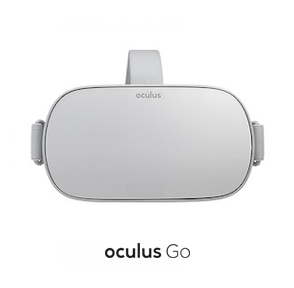 Occulus Go should have no trouble to play 4K videos in 180°. Launch Skybox VR Player on your Oculus Go and click on "VR Videos". You should see all of your VR video files there.